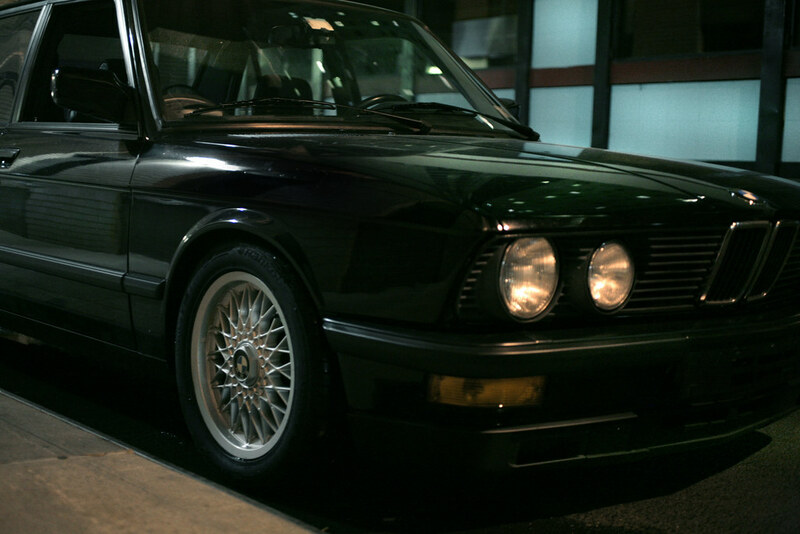 After first openly speculating about one two years ago, then going in a slightly different direction the year after, we’ve finally acquired one of our (attainable) dream cars, a 25-years-young BMW E28 M5. This one’s not an original specimen – for example, note the European bumpers (unlike our grey import, this one’s not a genuine Euro) – but it’s pretty close to being how we like it. Sometimes aesthetics trump originality. 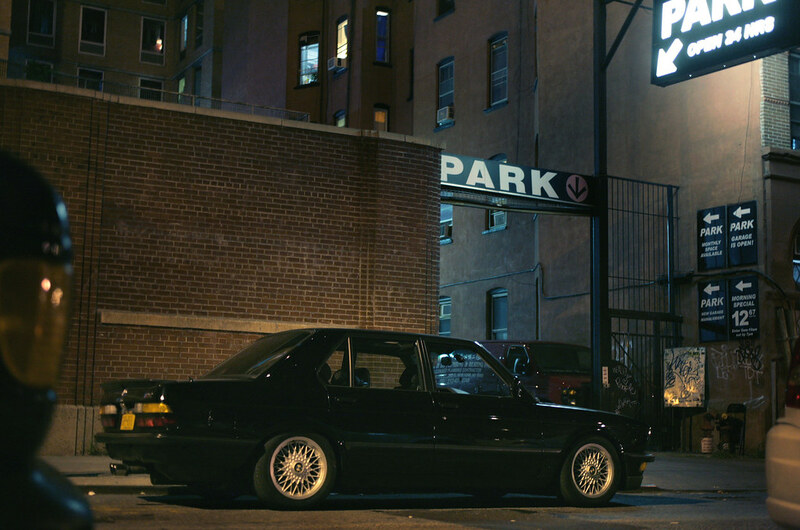 It may not be the first limited production super saloon car (we give that one to the Mercedes-Benz 300SEL 6.3, probably) or even the first four-door BMW M car (the E12 M535i holds that distinction), but it will always be the ur-M5 – hand-built, a little over 2,000 ever made, and possessing a detuned version of the M1’s race-bred motor – and that is a very special thing indeed. Certainly, hearing this engine at full song has been an experience to savor, and all the positive things we’ve heard about them over the years seem to bear out. 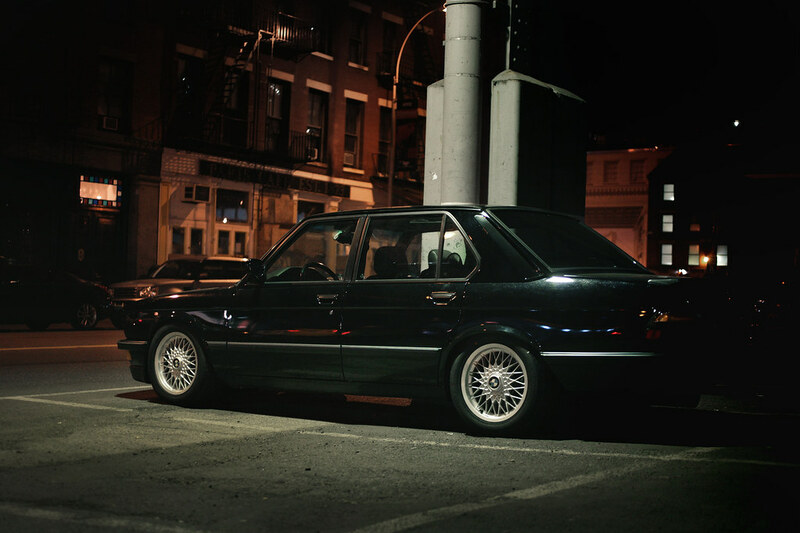 Yes, it’s an E28, but the engine really makes the car— it’s so different from the 535. Both have their merits. She’s not ready for her proverbial close-up yet, so here are just a few nighttime photos for now. ~ by velofinds on July 30, 2013. Dam you guy nailed it! Is that a black interior? Regardless well done, and congratulations! Excellent car! I´d really like to have a E28 M5 as a daily driver for the nice weather days. You can buy a new Toyota Camry with roughly the same power, weight, and interior size. You could also buy a Ferrari 328 with the same power, albeit less weight. I’m not sure either of those sound as good as an S38. I’ll have to borrow an M5 and a Ferrari and find out. Any volunteers? So its pretty close to how you like it, what are the plans? cause it looks damn good right now. Congrats. Well the devil is in the details, as I like to say, and right now it needs plenty of little things. So that should keep me busy for awhile. Very nice! My ex-ex-girlfriend has one. I talked her into buying it when we were dating. 3rd gear is soooo sweet. She still has the car and I have remained friends with her – which means that whenever I go for a visit, I always get to drive it again. They are special cars. I highly recommend getting one if you have the means. Despite what some may say, her car has been really trouble free. The only major expense being the suspension bits that were worn out and getting rid of the self leveling silliness. Every time I get in that thing I think I must buy my own. Enjoy it. I know you will. I was hoping you would get the reference. You just became cooler in my book. Soulless? My only response to that is go drive one. Drive it like you stole it. Kick the rear out with a mid-corner misplacement of your big toe. Slam the binders like Pete Townshend would a guitar. 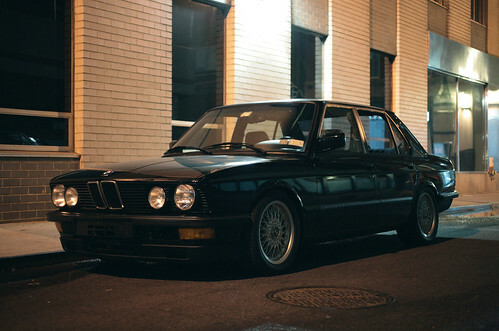 I don’t think it’s quite as characterful as an E28, but soulless? Experience it (the way you should experience an M car) before you make your judgement. That’s probably not a word I might have used, but I get what he’s saying. Word choice aside, I understand the sentiment, but I think it’s wrong. I was completely ready to dismiss the F10 M5 as another example of a bloated, heavy sedan with a much less interesting engine than the preceding v10. Then I sat in one. I have never been more wrong about a car in my life. 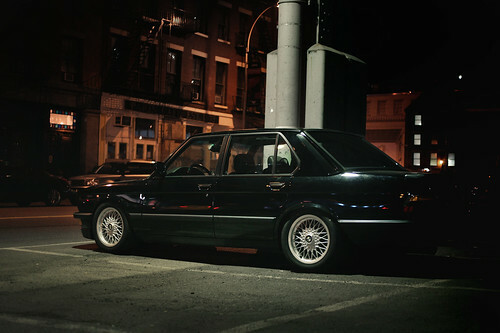 That said, I’ll probably hold on to my good E28 for as long as it is in one piece. I’ve to admit I’ve never driven a F10 M5, but I’ve been ridden in one. However, I have had the pleasure of borrowing the F12 M6 for a day. Some dab of oppo was involved too, I really tried to get the full experience. And yet still… It’s got epic performance, but the engine doesn’t sound very characterful. It’s power delivery is also pretty flat Yeah, flooring it creates pretty good sensation of jumping out of the airplane – it’s genuinely a fast car. But I never bonded with it, my favorite roads were too twisty because of all the weight and size. Quicker roads seriously endangered my driver’s license and those two 295 wide Pilot Supersports on the back. The car had potential, but the world where I live makes accessing it rather difficult. In some other location that might be a different story. Good stuff Drew, enjoy in good health! congrats! Excellent car and excellent choice! 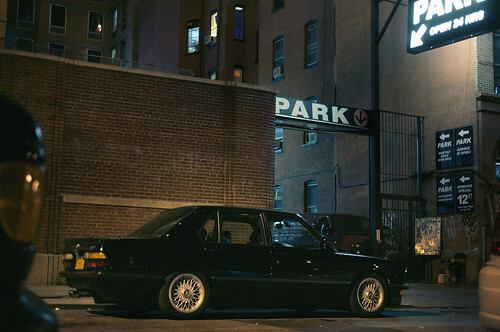 Is the feel that noticeably different from the 535i? Yes, it is — the nature of the two motors is completely different. The 535 is making all of its power down low, while the M5 isn’t really happy until about 4000 rpm. From there it pulls like a freight train all the way to redline. My Euro 535 also feels slightly lighter, nimbler, and more balanced than my US M5 — their difference in curb weight is probably a few hundred lbs. That S38 in the M5 is a big, heavy motor. any plans to convert more towards a Euro engine? Not immediately, no— these motors are plenty complex as is. In the future, I may add the long tube Euro headers and delete the catalyst, which would ‘Euro-ize’ it a bit. Nice find and congrats on the M5 Drew. 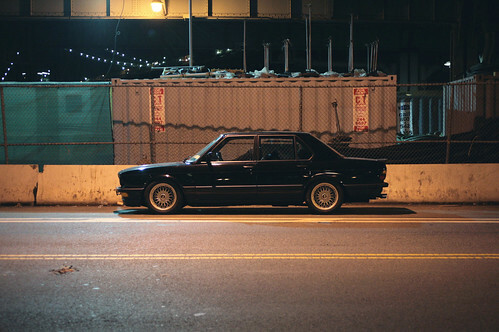 I guess you know you have consigned yourself to the e28 world, from which escape is difficult? It could be worse I guess. We are going to need to actually see these beasts of yours someday, lest we begin to suspect some photographic sleigh of hand. Ahem, I mean in the metal good Sir! Ha! You really should check out that site, Dan. It’s awesome. My internetting has been reduced of late so I missed this when it first came out, but I am so stoked for you. The euros look fantastic and I’m glad you are enjoying the S38. P.S. I reached out to you in the past re: doing a guest contributor blog with my E30 m3. With that aside, if you guys find yourselves in the San Francisco area feel free to reach out!